Social media is the only way to connect with your audience. Email marketing is a super powerful yet personal way to form special relationships with your customers. Combine that with social media…then your marketing efforts are pretty solid. A catchy subscription box with a clear call to action is vital. Also, if possible, give something away for free. It could be exclusive content or a discount code for a product. A lot of people expect something in return for giving up their email addresses. Make your offer clearly visible on your subscription box to catch their attention. 2. Use your social media outlets to promote your email marketing efforts. Don’t be ashamed of showcasing your success! If someone has commented on how great your content is, let people know through social media. 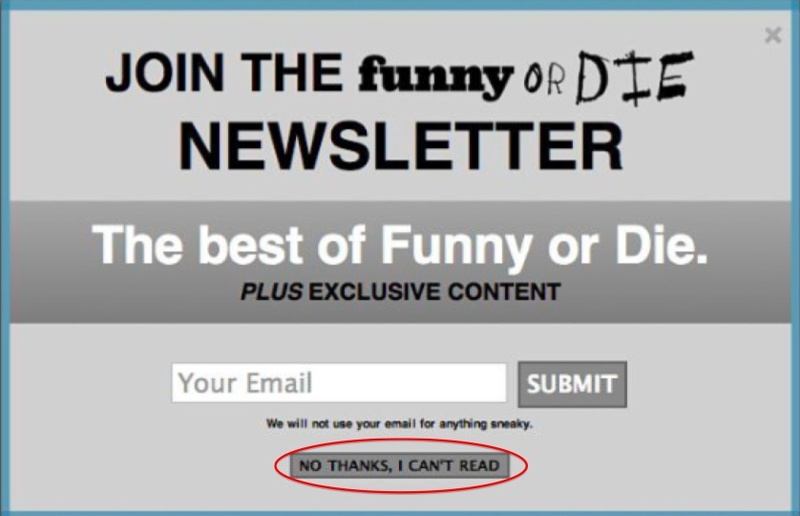 Give them reasons to subscribe to you, other than just free content; other people enjoy it too! 1. Avoid being filtered as spam. Being creative with your subject line helps to avoid being filtered as spam while enticing subscribers to open the email. For example, our last newsletter’s subject line read, “Jumping for Better Scores; Creativity and Cupcakes.” It’s much more appealing than, “Funderstanding Newsletter – March 5, 2013,” right? 2. Always ask for feedback. Remind yourself that all digital interactions are just substitutes for real human interactions. Breaking your promise to send material every two weeks is not any worse than canceling a meeting without notice. Customers subscribe to you with the expectation that you will always follow through with your promise. So make sure you do! If you haven’t already, we highly recommend that you redistribute some of your Internet marketing efforts to incorporate email marketing. It’s a powerful way to build and maintain relationships with your audience. After all, your business would not be a business without your audience. Want to know what we think about one of the top email management providers? Our next article will be about Aweber and why you may not want to use it.